Tirumala, 2 November 2018: While appreciating the devotional programmes that are being relayed by Sri Venkateswara Bhakti Channel of TTD, a pilgrim sought TTD EO Anil Kumar Singhal to telecast Vishnu Shasra Namam during evening times also. 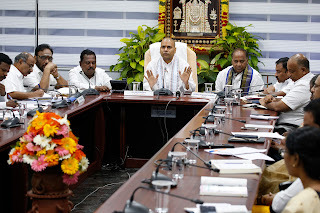 The monthly Dial your EO programme took place at Annamaiah Bhavan in Tirumala on Friday where in as many as 25 pilgrim callers had given some suggestions and brought some issues to the notice of TTD EO. Reacting to the suggestion of pilgrim caller Ramaiah from Bengaluru, the EO said, it is a pleasure to see that the SVBC programmes are reaching global pilgrims. At present we are relaying Vishnu Sahasra Namam in the morning slot onlywe have to give priority to other religious programmes, he added. Ramachandra Reddy from Kadapa, Ramu from Eluru, have sought EO to ensure Seva tickets in online to which EO replied, for more transparency we have now introduced only one registration on one mail ID and one mobile number from this month onwards. We will examine this for a few months and based on the feedback we will make further pilgrim friendly amendments, he said. A pilgrim caller Srinivas from Greenfield said, whether it is possible to book for 100 members in online for the month of March 2019. Answering the caller, EO said, on December 2 the Rs.300 tickets quota will be released online and they can comfortably book for all. Responding to a caller Rama Sharma from Bengaluru, the EO said, it is not feasible for TTD to arrange a shopping mall to sell the photos of deities and other spiritual objects. 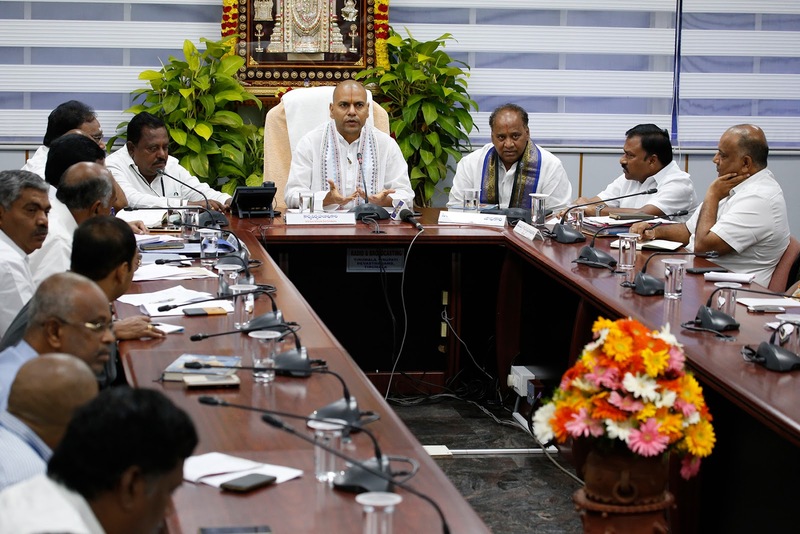 He also the rates on the objects that are being sold by the shopping malls in Tirumala could not be fixed by TTD. 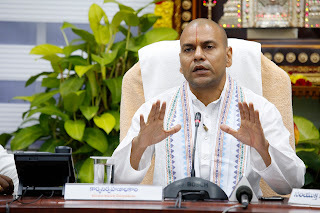 Another caller Mohan Raju from Piler suggested EO to arrange escalator inside Garbhalaya to avoid jostling and enhance lighting as the presiding deity is not visible to many in Maha Laghu darshanam to which EO replied it is not possible in religious angle as per the tenets of Agama shastras. 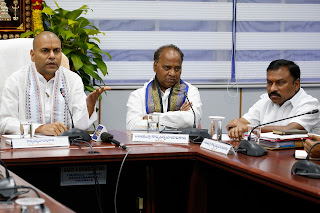 Sivakumar Reddy and other senior officers were also present.